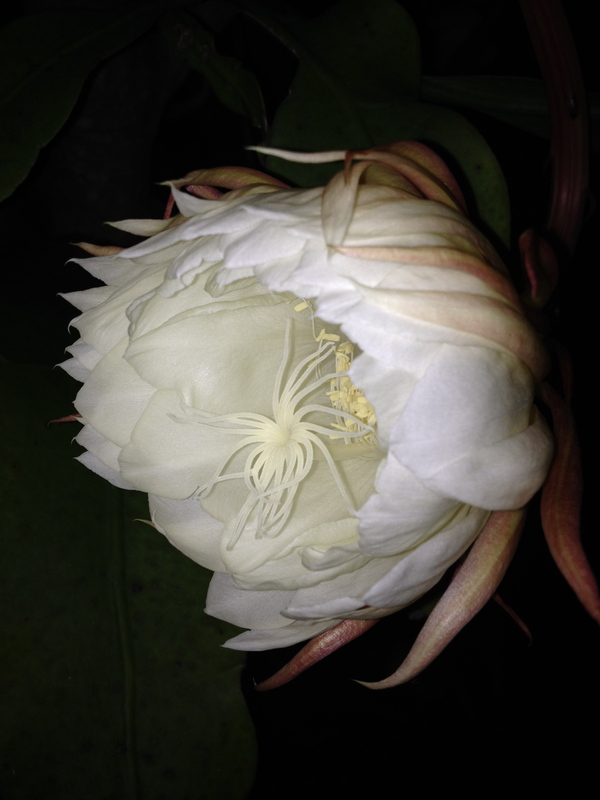 Sitting in a friend’s backyard on the second last evening of 2014, I was fortunate to witness the Queen of the Night bloom. 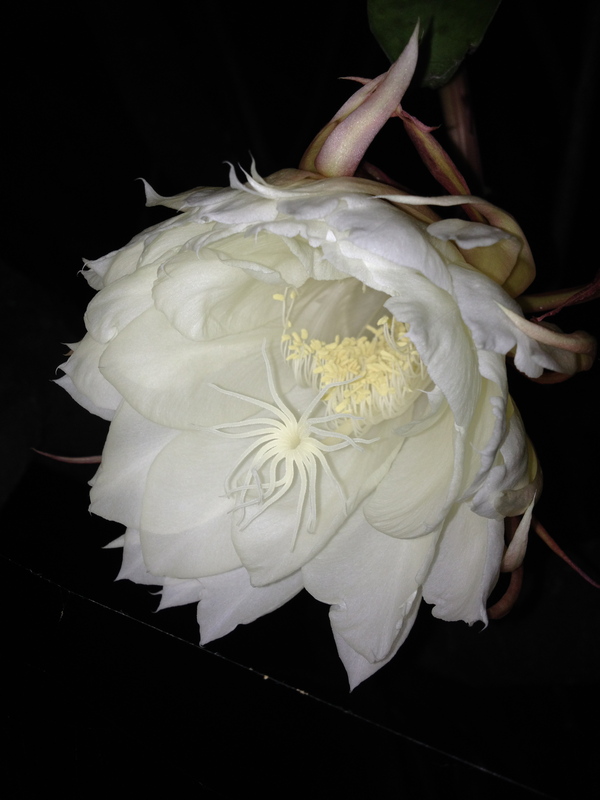 The Queen of the Night is a cactus originating from the southern states of North America and some northern countries in Central America. 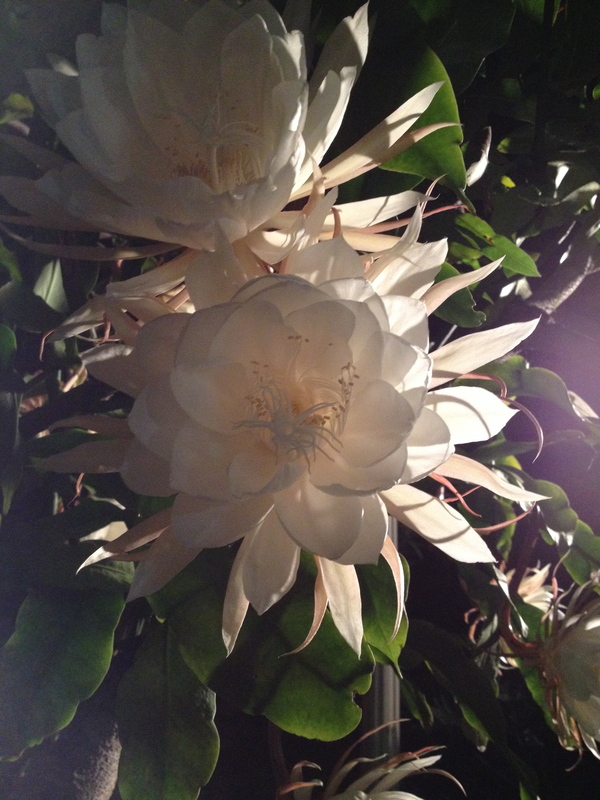 They bloom once a year at nightfall and live a short but sweet 12 hours. 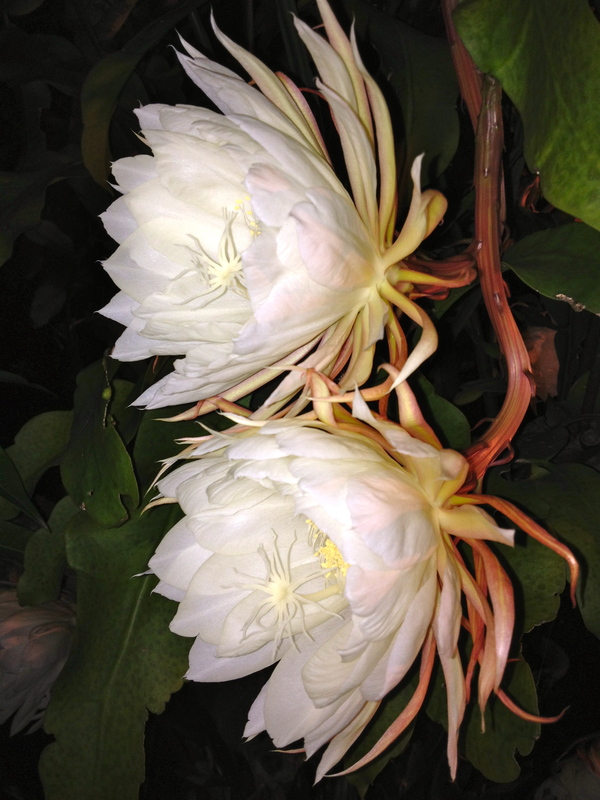 Over the course of a couple of hours, I watched in amazement as over 30 flowers bloomed before my eyes. 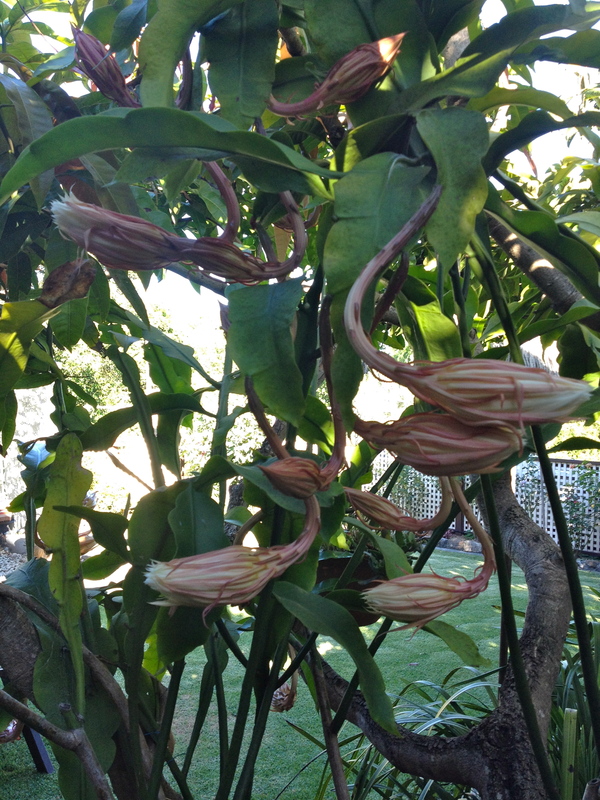 As they opened their incredible perfume started to waft through the backyard. 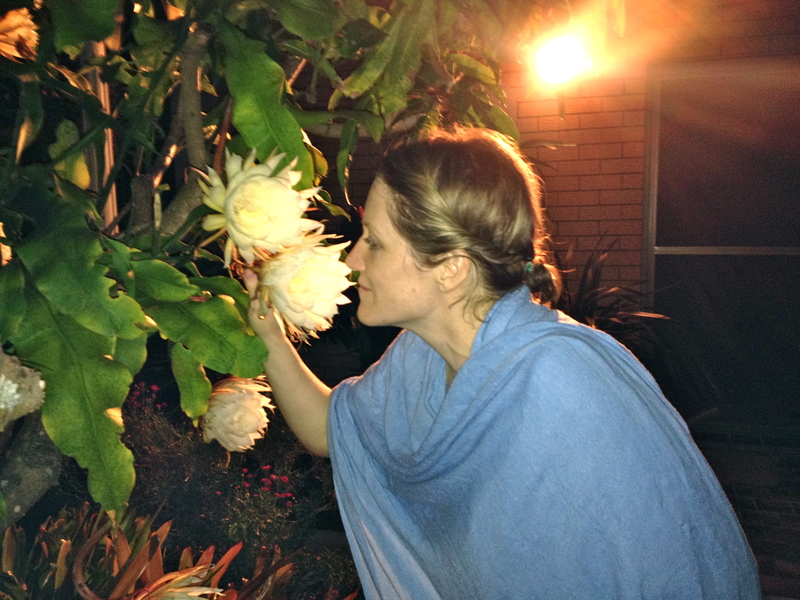 The smell is almost impossible to describe, however it did remind me of the combined scent of the thousands of flowers at the Sydney Flower Markets – not bad for 30 flowers! 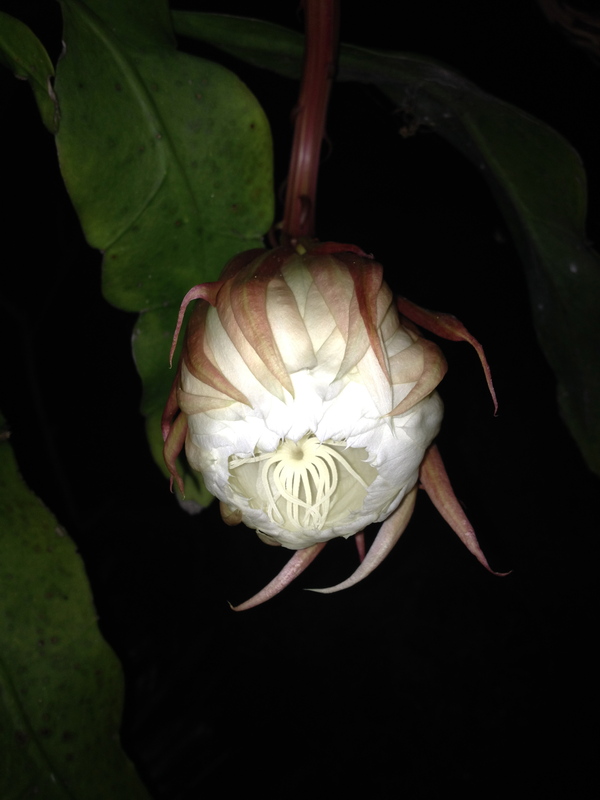 Nothing can capture the experience of watching the Queen of the Night open nor the smell that filled the backyard (and house) however I did take a few photos at various stages. I am already looking forward to next year!